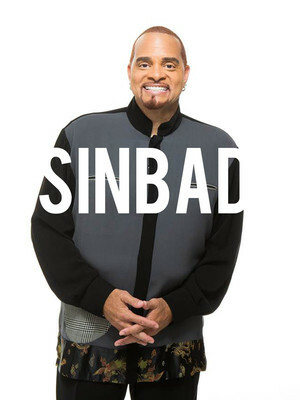 An evening with Sinbad, the stream-of-consciousness comedian who regales audiences of all ages with his 'slice-of-life' perceptions & observations about virtually everything! 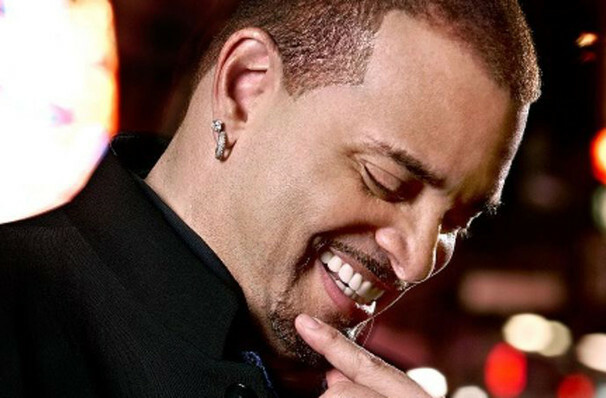 A hardworking funnyman whose family-friendly persona and animated antics have endeared him into the hearts of dedicated fans across the country, Sinbad has worked tirelessly to rise to the top of the standup circuit. Sinbad aka David Adkins has kept America laughing hysterically for the best part of the last 20 years, and coming to prominence in the Nineties with a variety of television performances and film appearances, including Jingle All The Way, opposite Arnold Schwartznegger. A former serviceman, he chose the name Sinbad after the legendary hero, who he admired, as well as making him stand out on the entertainment scene. Never mind that he stands at a staggering six feet five inches tall! He freely admits that he doesn't know actual jokes as such, aside from those from "back in the day" that his preacher father told him. In fact, he credits his father's attendance at an early gig of his to concentrate on non-sweary, observational humor - having been caught mid-flow a "semi-dirty story". His humor is inspired from everyday events, from love, marriage, career, money and faith, to the scrapes he gets into especially stories from his Air Force days. When not touring, he can often be found advising companies on technological matters, as well as encouraging minorities to pursue studies in STEM. He has also established an academic scholarship at Atlanta's esteemed Moorehouse College in honor of his parents. Sound good to you? Share this page on social media and let your friends know about Sinbad at NYCB Theatre at Westbury. 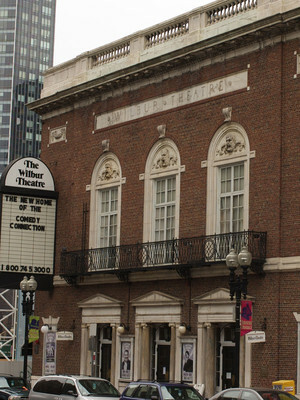 Please note: The term NYCB Theatre at Westbury and/or Sinbad as well as all associated graphics, logos, and/or other trademarks, tradenames or copyrights are the property of the NYCB Theatre at Westbury and/or Sinbad and are used herein for factual descriptive purposes only. We are in no way associated with or authorized by the NYCB Theatre at Westbury and/or Sinbad and neither that entity nor any of its affiliates have licensed or endorsed us to sell tickets, goods and or services in conjunction with their events.